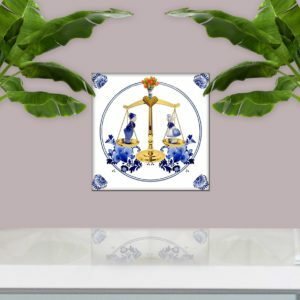 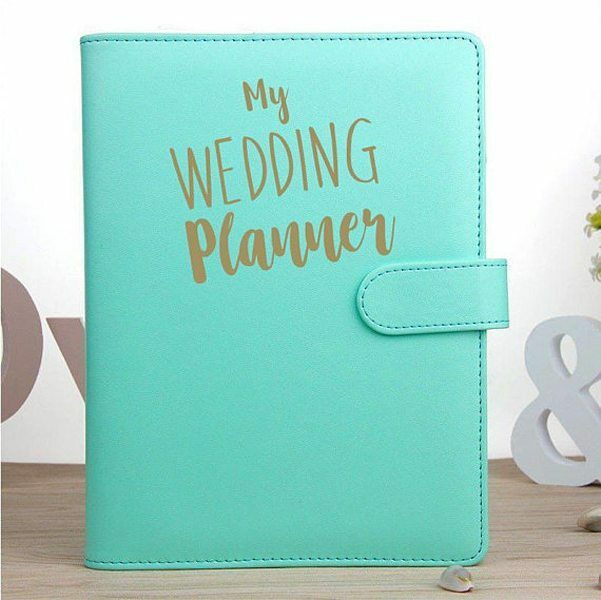 Just the thing for a newly engaged couple to keep on top of everything for the big day! 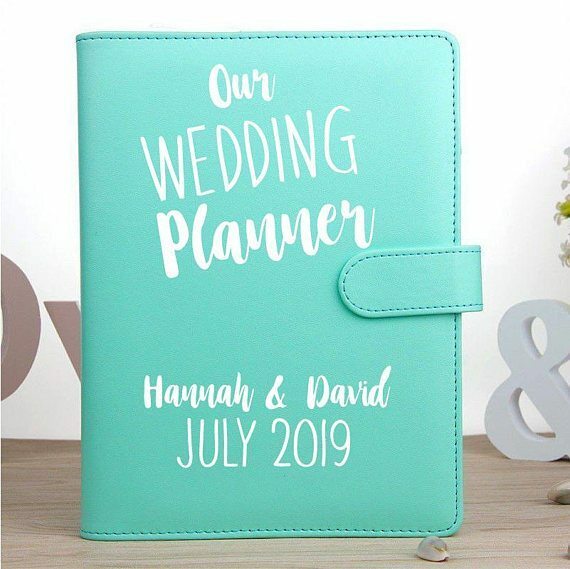 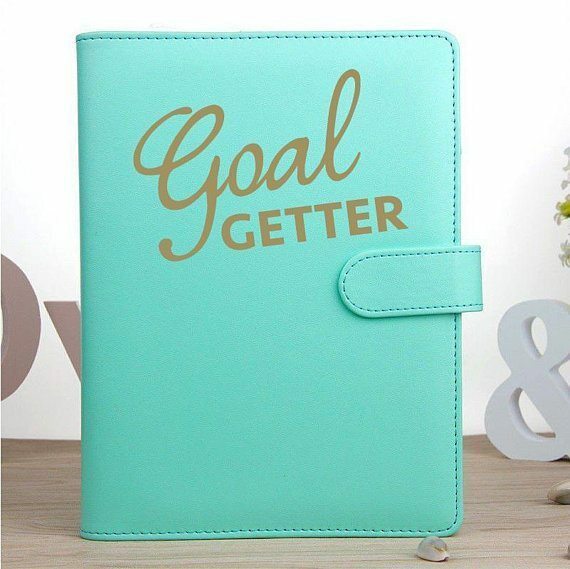 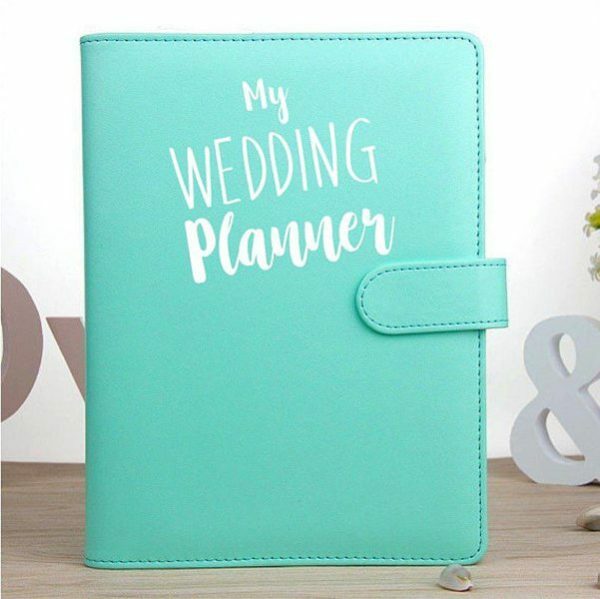 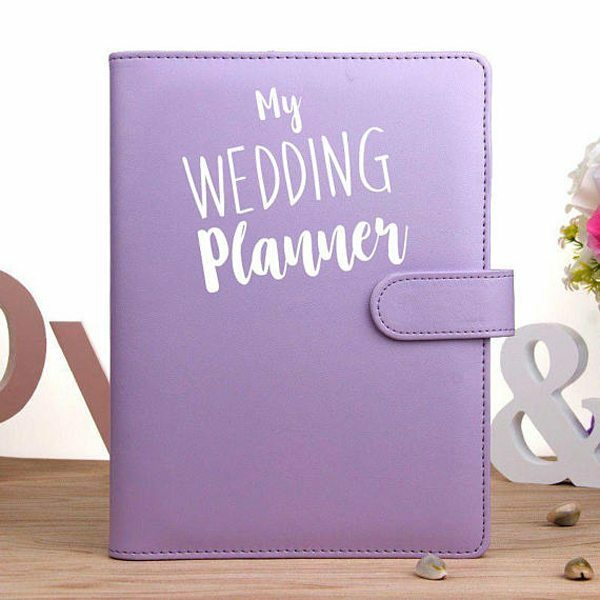 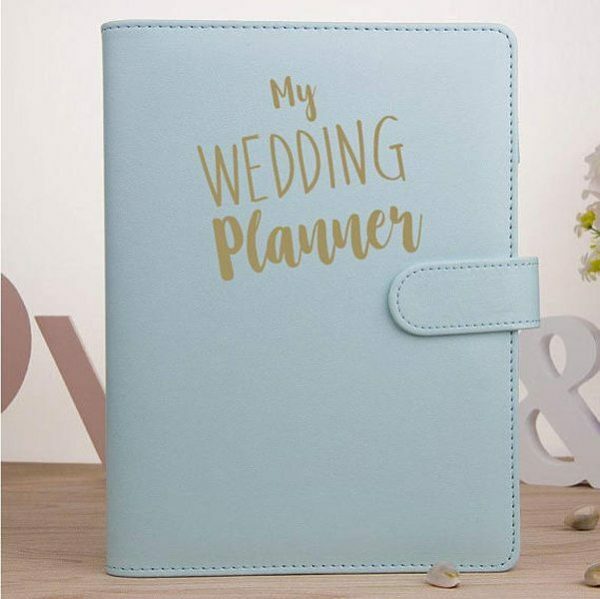 These Wedding Planners comes in A5 size with a planner inside. 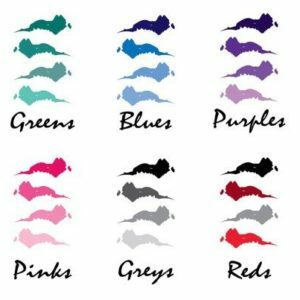 Available in Lilac, Pink, Green & Blue. 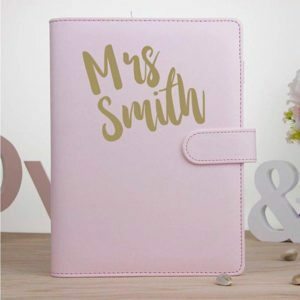 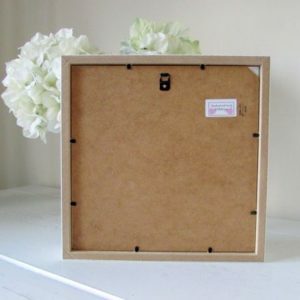 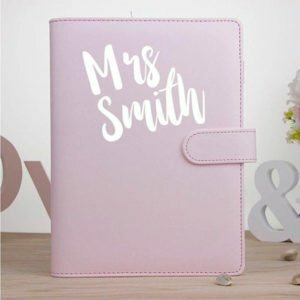 Non-Personalised (Cover says My Wedding Planner) – you can choose to have one name inside the cover with this option too. 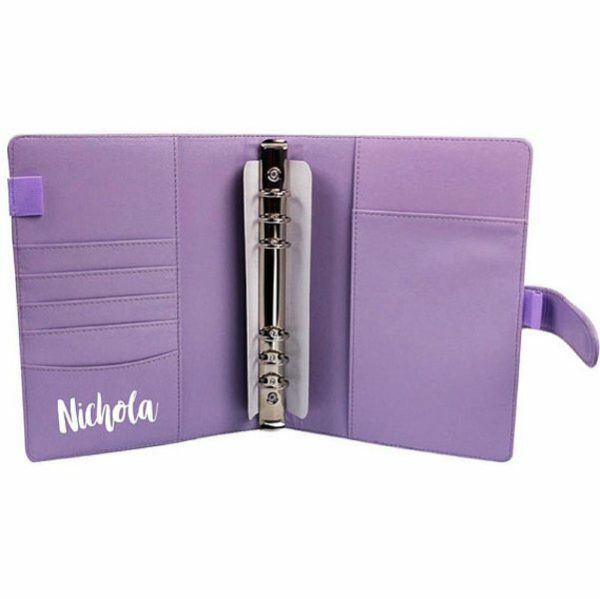 If you chose the Personalised Cover please specify the details here. 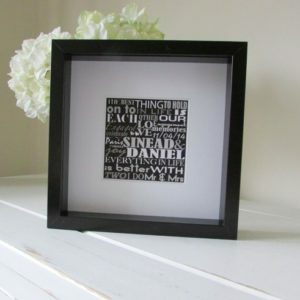 If you would like a single name inside a non-personalised cover please specify the name here. 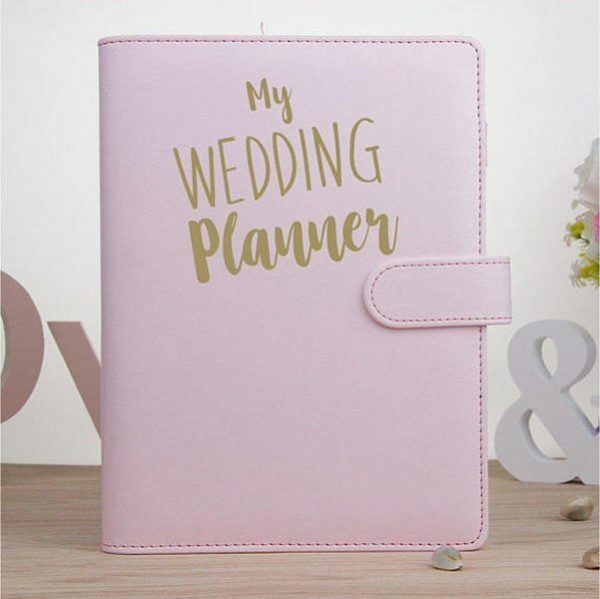 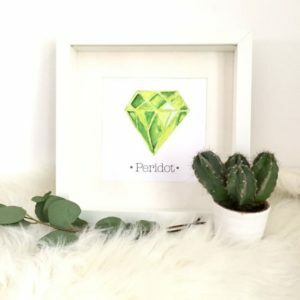 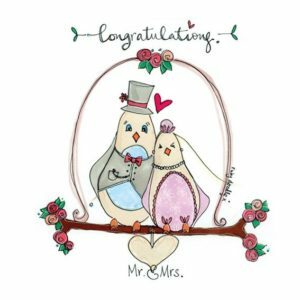 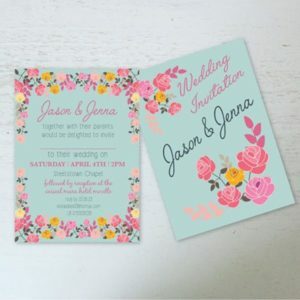 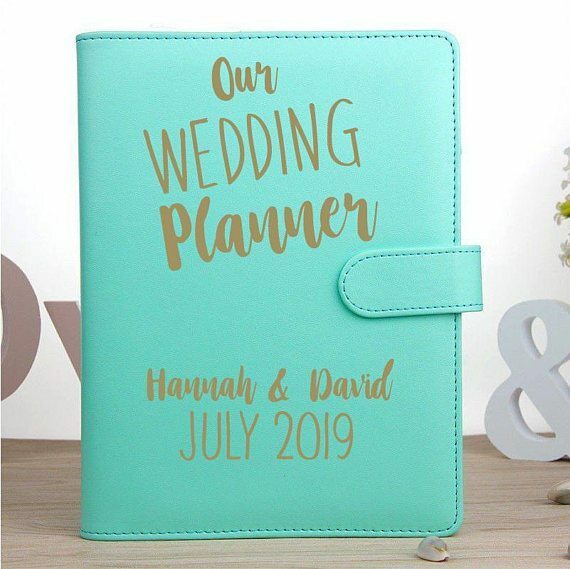 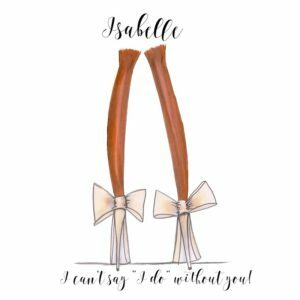 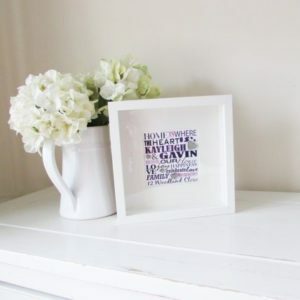 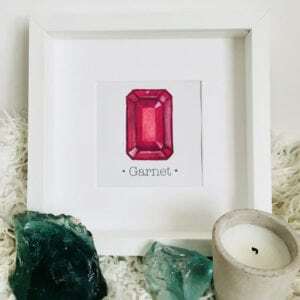 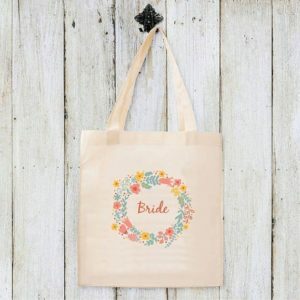 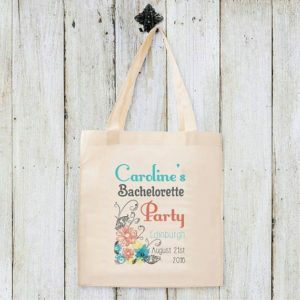 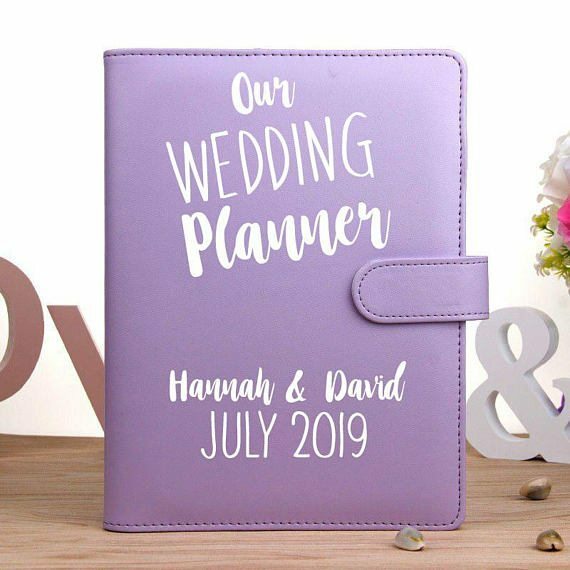 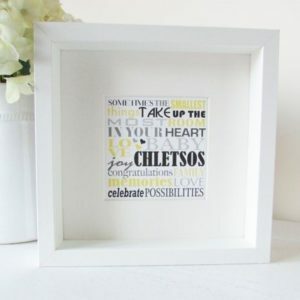 These Personalised Wedding Planners make wonderful engagement gift ideas. Because they have all the newly engaged couple will need to keep on top of everything for the big day! 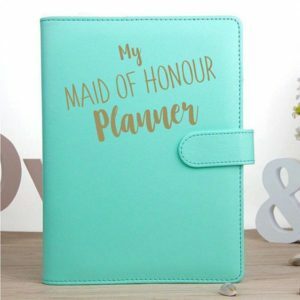 Similarly they are a great self-gift if you want to stay on top of everything for your own wedding day also! 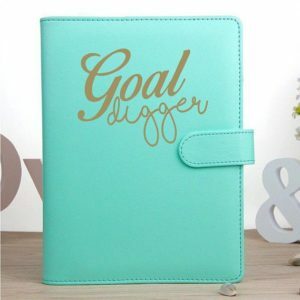 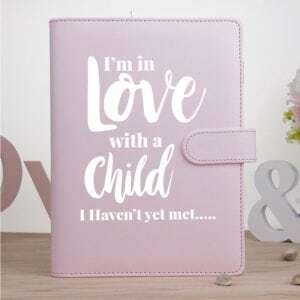 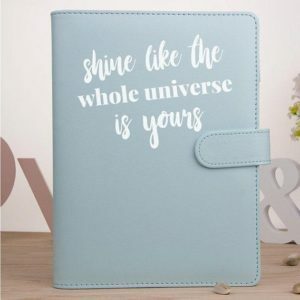 Comes in A5 size with a planner inside. 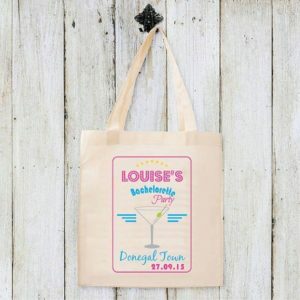 Available in Lilac, Pink, Green & Blue. 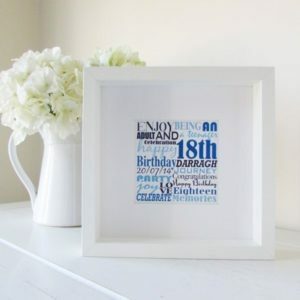 You can also choose your font colour. 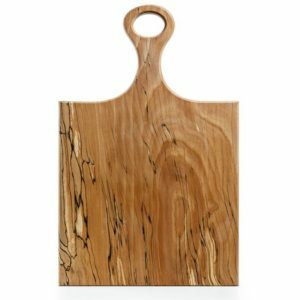 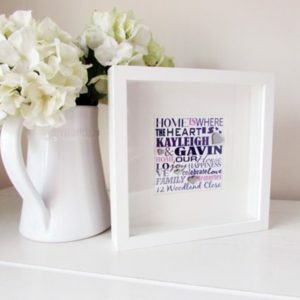 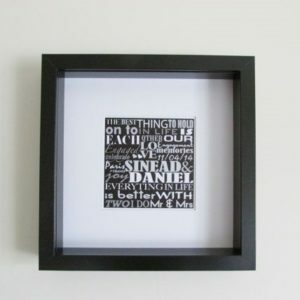 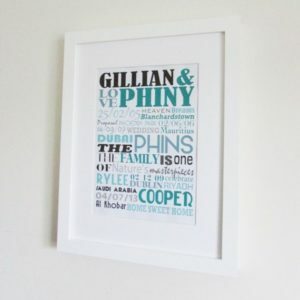 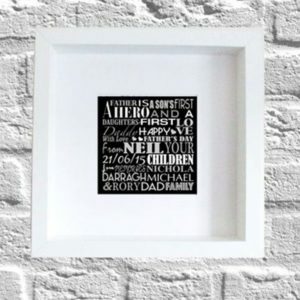 So, pick colour & add names & dates for a truly unique & useful gift! 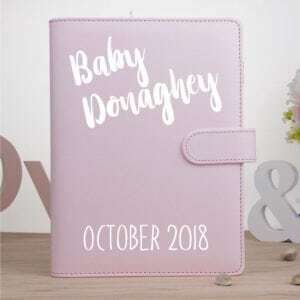 Finally, planners are made in Ireland by NJR Designs. 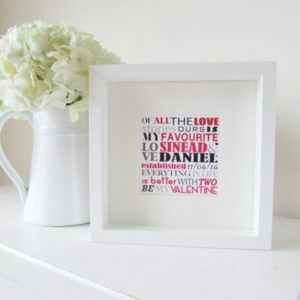 Nichola from NJR is a Graphic Designer with a passion for typography. 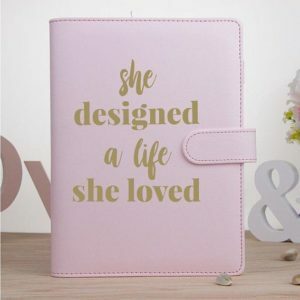 She loves to create and design. 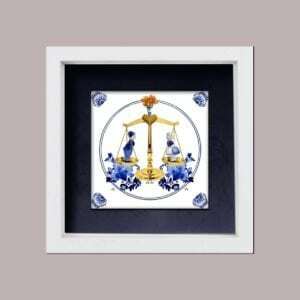 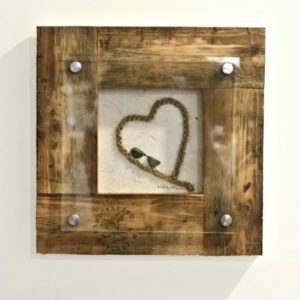 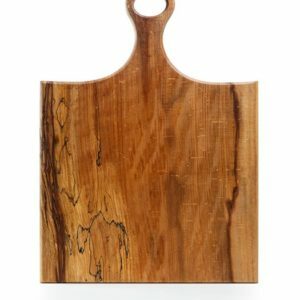 Nichola also likes to change no longer used items into something that will be loved.